The Pokémon will reportedly serve the purpose of linking Pokémon GO and Pokémon: Let's Go! The Pokémon Company sneakily introduced a brand new Pokémon in Pokémon GO called Meltan. According to the Pokémon Company, Meltan will eventually help link Pokémon GO and Pokémon: Let’s Go! on Nintendo Switch once the game launches this coming November. How much of a role Meltan will actually play in linking the two games remains to be seen, though it has been confirmed that Meltan will also be available in Pokémon: Let’s Go! Another way to link your Pokémon GO and Pokémon: Let’s Go! Accounts is by transferring them via Go Park. Additionally, you can send presents from Pokémon: Let’s Go! over to Pokémon GO. Perhaps Meltan will influence these back-and-forth exchanges using its unique abilities? 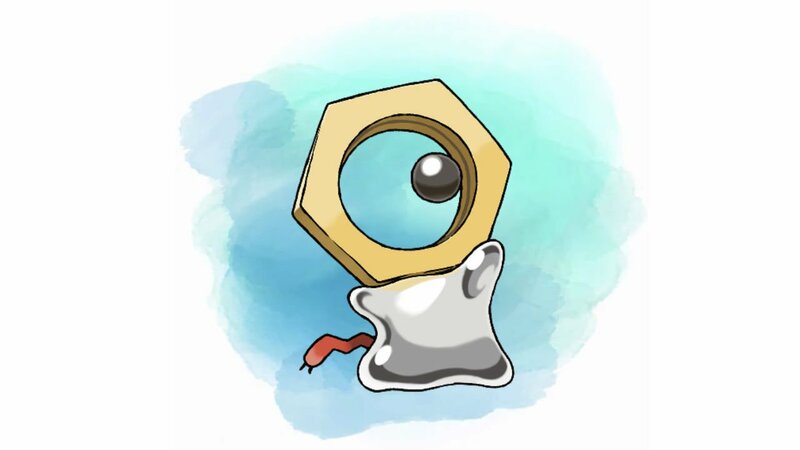 As for “what” Meltan is, it’s a small, Steel-type Pokémon that’s referred to as a “Hex Nut” thanks to its unique design. Meltan initially transformed into Ditto when players attempted to capture the Pokémon over the weekend. Based on a new trailer released by the Pokémon Company, there’s a story behind why Ditto are taking the form of Meltan in Pokémon GO. In the trailer, Professor Oak and Professor Willow discuss the new discovery of Meltan who, according to Professor Oak, is an “ancient, undiscovered Pokémon.” Professor Oak goes on to instruct Professor Willow to locate the Meltan causing Ditto to transform into its likeness in Pokémon GO. We’ll be sure to update as more information is released regarding Meltan and its role in both Pokémon GO and Pokémon: Let’s GO! In the meantime, did you spot Meltan over the weekend? What do you think of the new Pokémon, and the anomaly causing Ditto to appear as Meltan? Let us know your thoughts and theories down in the comments below!